Myrtle Beach golf at Whispering Pines is a true golfing pleasure, whether you’re a full-time South Carolinian, or just visiting sunny Myrtle Beach. This lush course will challenge and relax you all at once.There is no doubt you will love the scenery! 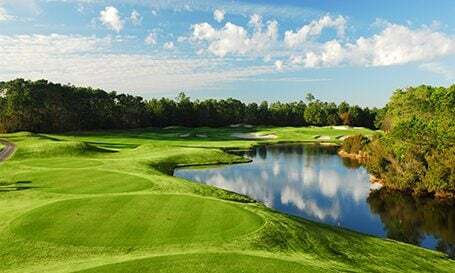 With no distracting backyards this 6,771 yard course is a true destination for Myrtle Beach golf. Carved out of 200 acres of towering pines and mature hardwoods, carefully designed by Finger, Dye, and Spahn, Whispering Pines offers a distinctive combination of challenge and beauty. 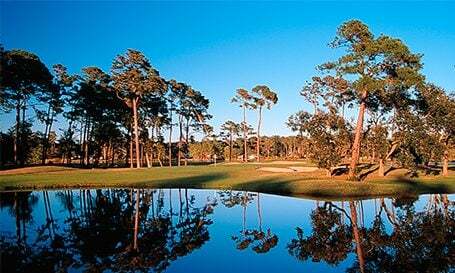 Tree-lined fairways, stratigically placed lakes, and undulating greens await your arrival in Myrtle Beach, SC. With above average slope and handicap ratings, this traditional, classic design-style course doesn’t need gimmicks for a satisfying round of golf. Best of all, you don’t have to drive miles to find peace and quiet. We’re located just one half mile from outstanding oceanfront hotels and attractions of Myrtle Beach, and we are just across the street from the Myrtle Beach Airport! Perfect for an extra round before or after your flight! 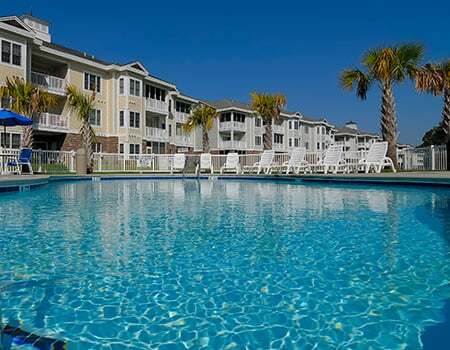 At Whispering Pines, you’ll discover affordable rates, convenient location, outstanding service, and challenging Myrtle Beach golf. We also offer golf lessons for all skill levels at the Whispering Pines Golf Academy. We had a great time at Whispering Pines. Frankly, we got more that we expected for the fees we paid ($47). The course layout is fun and interesting, with a nice mix of holes. It's pretty flat, but other features (doglegs, water, etc.) make it quite interesting. It was in very good shape. The folks in the pro shop were friendly and great, but the starter/bag drop guy let a group that was running late get in front of us, and they hit 2 minutes after our start time. We still had a good time, because the course was fun, interesting and fair. We have played most of the courses up and down the strand, and this is the best value we have found so far. A good "workingman's" course - no frills, but everything needed for a good round of golf. The greens and fairways were in good shape. The speed of the greens was medium. The fairways are wide. The traps were so-so. There is plenty of water to make shots challenging. I'll go back. Clubhouse and cart/starter staff were all great. Very friendly, personable and helpful. Course was in great shape and was not rushed to play. Enjoyed the round and will definitely be back the next time I visit Myrtle Beach. The grill/restaurant area looked great for a municipal course but we did not eat there. Cart guy was a real treat. Might as well not have anyone, he wasn't helpful at all. When we came up to get our cart the man was just shooting the breeze with someone, and after a minute or two we just grabbed the nearest available cart. Then he noticed and came over. He basically said something unintelligible about where the practice range and 1st tee box were, then something about coming back over to him for some reason. When we finished we brought the cart back, parked it where we took it from and got grief because it was about 20 feet from where he wanted it. I guess he couldn't be bothered to break off another apparently important bull session to do his job. Never really got the point of him being there, it seemed he was there to ignore folks before giving them crap. Enough of the negative. We liked the course alright. It was sufficiently challenging, pretty well maintained and like no course I've played before. Smallish greens, pretty fuzzy really - especially around the edges - which I guess is why they were so slow. Literally felt like I had to hammer every putt just to get it to the hole. Oceans of water hazards compared to what I'm used to in California. Surprisingly little noise from airplanes for a course across the street from an airport. All in all it wasn't too bad. If I lived around here I expect I'd play it pretty regularly. Great round on a fair and friendly course. Staff is accommodating and friendly. Played the course Friday and is quite possibly in the best shape of its life. Greens were smooth as glass at a medium speed. If there had been less rain or the super decided to cut and roll them more they would have faster. The fairways and rough were lush and very playable. Well maintained bunkers and tee boxes round off the great condition it is in. Defiantly worth the money and should be a must play. First time playing the course. The greens had just been aerated 5 days prior, but the staff did a very good job. The greens putted true but a bit slow. Understandably, they were a little shaggy. My wife ( a 38 handicapper) and I played a quick afternoon round. At the tees, we found monuments that depicted the hole, which was very useful. As first timers, we were able to navigate the course fairly well. Not my favorite course, but because it was not very challenging, my wife enjoyed it, so we may return. The price of the round was very fair. Bathroom on 13-14 the hole was a disgrace. Health department should close se it down. Shame on you, for the price you charge, you should have people checking on it, cleaning it. Bathroom should be revamped, redone, it was bad, very bad. I was very impressed by the starter and ranger to ensure I got my complete round in, as there were some issues at the start.